Retail jobs are no joke during the holidays. Monster members share their tips for getting through the hustle and bustle. There's nothing that says holiday shopping quite like long lines of grumpy customers, out-of-stock items, ransacked departments, and overheated and crowded stores. Yet those are just some of the issues holiday retail employees deal with every time they hit the selling floor. When we asked Monster members for advice on how they've survived seasonal jobs in retail, we got an inbox full of responses. If you're working in retail this holiday season, read some of their tips for getting through the hustle and bustle with your holiday spirit (reasonably) intact. The best way to avoid stress and enjoy working retail during the holidays is to get your personal errands and all your Christmas shopping out of the way before Thanksgiving. When you don't have to worry about all of that, helping customers with their gift shopping can be a pleasurable experience. Forget trying to be oh-so-cute and impressing the boss with those HOT new shoes you just bought on clearance. Wearing comfortable shoes at work during the holiday madness is the best way to go. Your feet, legs, neck and back will thank you. I worked one holiday in a department store china department. It was very hectic, to say the least. However, I found that I could refresh myself by escaping to the stock room and taking a few slow, deep breaths. Take your breaks when you get them. Do NOT go to the food court or out in the shopping area unless absolutely necessary. You'll come back from your time off more harried than if you simply went to the break room and relaxed for those few minutes. Hum anti-holiday music at work. I know what it's like to hear "Deck the Halls" 20 times every time I go to work. I usually hum a good Rob Zombie song or my favorite rap song. Keep thinking about that Christmas bonus (if you get one). If not, think about all the hours you worked and how you're going to spend your fat paycheck. Stay hydrated! Not enough water can bring on a headache. Keep peppermints or hard candy on hand or in your pocket. They're good for bribes for agitated children. Ask the parents first. Bring a light snack like an apple or Power Bar. Leave big purses at home. Keep two working pens handy, just in case. Remember that you don't know the kind of day your customer has had, and if they have a bad attitude, it probably is not about you. Don't take it personally. Do your best to turn their day around. You'll feel good, and they'll buy more. To get through the holiday madness in retail, I try to remember that although it may be hectic and I'm dealing with HUNDREDS of people in one day, each ONE of those people is dealing with me ONCE, so it's important to remember the impression that a person can get. Think about slapping stupid people all you want, but never say it. Just smile and be nice. Remember, for every jerk, you'll find an equally delighted/grateful/thankful mom/dad/grandparent/sibling/significant other who will have had their entire holiday made perfect because you helped them find the perfect gift. Most of the retail personnel I've dealt with over time have looked at the job as only tide-me-over. If you want to succeed, bring common sense and common courtesy to the job. "Yeah," "grunt-grunt" and such seem to be the extent of most employees' vocabulary these days. Stand out; be polite. It may very well land you an offer of longer-term employment and quite possibly a raise. Enjoy working with the customers and satisfying their shopping needs. You will be surprised by the results. If you're lucky, you might get that one customer who liked your services so much that he tells your supervisor what a good job you did. Have 25% more people than you actually need, because a good number of employees will have requests for time off and other unexpected commitments that could leave you in the lurch. Create schedules in advance so management has an eye on its payroll and employees know when and where they are supposed to be. Create grids for floor coverage. Schedule staggered breaks and lunches. On the busiest days, purchase lunch for your team. It's a real morale booster. On a related note, candy goes a long way in providing a quick boost. Thank your employees at the end of their shifts. It can make all the difference in the world during the holiday season. Keep your register stocked with extra tape, bags, tissue paper, scissors, stickers, pens and markers. Don't forget change! Large bills are not uncommon, so your base register should have more change than normal. Know your rules for voids, returns, layaways and holds. The most import thing is to prepare. 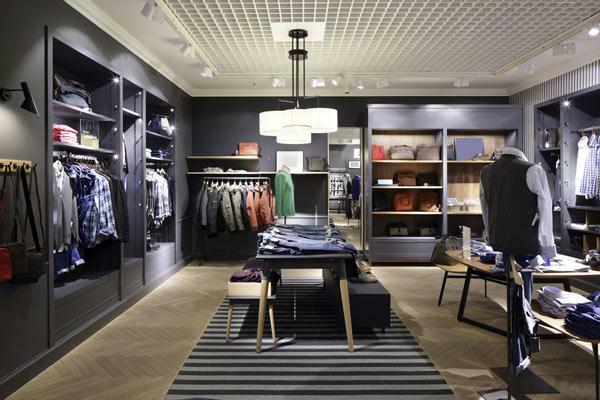 Make sure your sales floor is as full as it can be while still looking good. The less you have to run to the back for product the better. Make sure everything is signed and priced right. Put your most experienced register operators in place so customers will be taken care of in the most efficient manner. Rule No. 1 is not to take what the customer says personally. It may be better to let them blow off a little steam and listen to what they're saying. Rule No. 2 is to be polite but firm when addressing a customer query. Offer the customer as much help as you can before getting a shift supervisor. Rule No. 3 is to know your product. Customers appreciate someone who knows his products and company policies. If you don't know all the answers, find someone who does. Rule No. 4 is that there is nothing wrong with saying, "I don't know but will find someone who does know." And there is nothing wrong with saying, "I'm sorry" even if it's not your fault. If you can empathize with the customer, you will understand how to handle the customer. The Biggie -- Rule No. 5: Be cheerful and pleasant. A smile will rub off. Smile when you pick up the phone, and never ignore customers who are standing in front of you while you're on a call. The veteran salespeople will teach you things you will never forget, such as the value of being poised, calm and resourceful. Never take the place for granted. You never know if you will want or need to work there again, so work out some kind of a notice. Buy something you love with the employee discount—possibly something to wear to your next job. Ask customers who they are shopping for. Most people want to share their shopping highs with others. My recent large specialty store employer asked each of its regions to adopt a local charity and asked customers to make donations to the cause at the time of purchase. Adopt a Cause for our stores really made many employees feel that they were doing more than just selling more stuff over the holidays. Realize that the holidays are the most depressing time for some people, which means being kinder and more tolerant toward others. If you ever leave retail, take with you the knowledge of how to help people. Be patient and treat the next people who serve you with respect. Retail made me a better person.